With this last rain we had in San Diego, my garden became a runaway jungle of greens! 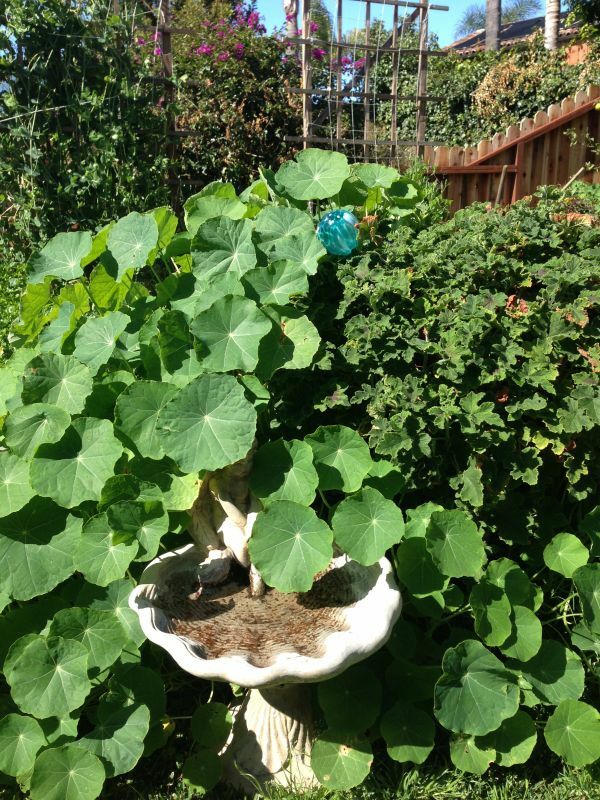 Look at the size of the nasturtiums leaves in the photo below. Take a look at this box of broccoli and fava beans – out of control don’t you think? My beets are ready to pop! The spinach is hidden but still going strong. Ah yes, Spring has arrived… sweet Apple blossoms. New for this year, sweet peas – I’ve always wanted them in my garden and here they are slowly rising reaching towards the sun. Figs are coming… figs are coming! Just a pretty picture of the red beet stems shining through. Leeks are also new this year, wow I’m a happy Greek girl! Another shot of mustard greens and dandelions trying to grow in this jungle of favas. 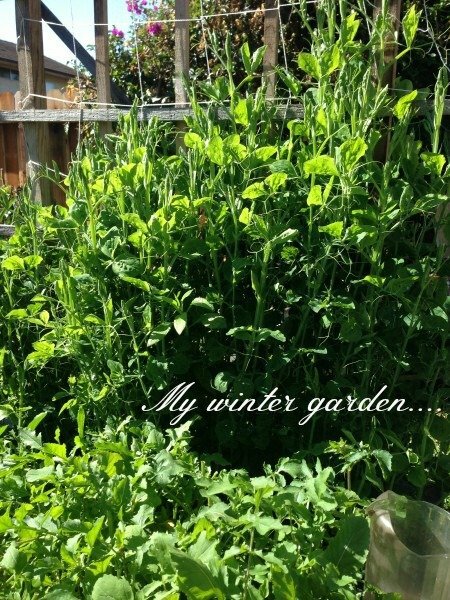 Ending soon are the sugar snap peas – thank-you, thank-you for the barrels of delicious peas you have showered us with. Neighbors and friends thank-you too!